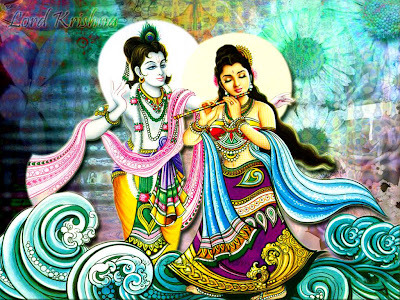 Kriya Yoga : Bhagavad Gita the divine song of the Lord ! : Bhagavad Gita Chapter :18:05 Moksha Sannyasa yoga: The Yoga for Liberation through Renunciation .Yoga da Libertação através da Renúncia. Bhagavad Gita Chapter :18:05 Moksha Sannyasa yoga: The Yoga for Liberation through Renunciation .Yoga da Libertação através da Renúncia. Renunciation does not means avoid all action; that is impossible. Renúncia não significa evitar toda ação; isso é impossível. Three actions that should not be shunned are yajna ( sacrifice or fire ceremony), dana ( acts of charity), and tapas ( penance or austerity). Três ações que não devem ser evitadas são yajna (sacrifício ou cerimônia de fogo), dana (atos de caridade) e tapas (penitência ou austeridade). yajna means pranajna , offering oblation of breath to the soul fire in pituitary and to the God fire in fontanel. Yajna significa pranajna, oferecendo oblação de respiração para a alma fogo na pituitária e para o fogo de Deus em fontanela. dana means donating your restless mind full of dirty ideas to God, so that every thought becomes divine and God oriented. Dana significa doar sua mente inquieta cheia de idéias sujas a Deus, para que cada pensamento se torne divino e orientado por Deus. tapas is the breath (oxygen) that goes up and touches the God fire in the fontanel. tapas loka is associated with ajna chakra near to pituitary. Tapas é a respiração (oxigênio) que sobe e toca o fogo de Deus na fontanela. Tapas loka está associado com chakra ajna próximo à pituitária. These three activities make the mind pure. Essas três atividades tornam a mente pura. Those who perform these three kinds of work are perfect. Aqueles que executam estes três tipos de trabalho são perfeitos. We are essentially pure consciousness. We are obsrving this world of objects and even living beings , including the body.We are distinct and free from them. Estamos observando este mundo de objetos e até seres vivos, incluindo o corpo. Somos distintos e livres deles. Cultivate this knowledge in every breath; then you are free from pain and unhappiness. Cultive esse conhecimento em cada respiração; Então você está livre de dor e infelicidade. kevala :leaving aside exhalation ( rechaka) and inhalation ( puraka) attainment of the stillness of breath without any force is the state of kevala kumbhaka. kevala :deixando de lado a expiração (rechaka) ea inalação (puraka) a consecução da quietude da respiração sem qualquer força é o estado de kevala kumbhaka. in kevala the sadhaka goes beyond the five elements sadhana culminates in the attainment of this state. Em kevala o sadhaka vai além dos cinco elementos sadhana culmina na realização deste estado. Through constant meditation and love, all kinds of merit are accrued to the individual. Através da meditação constante e do amor, todos os tipos de mérito são acumulados para o indivíduo.